Will they be taken as extras in his upcoming Aguinaldo film? Disqualified Laguna Gov. 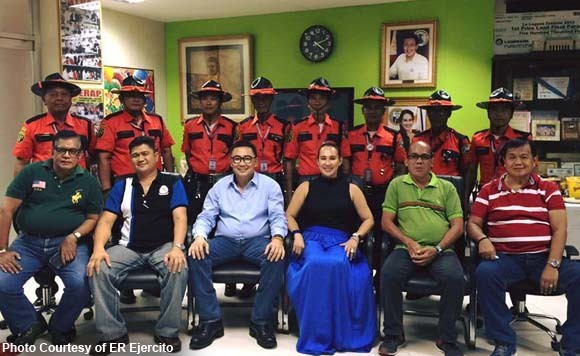 ER Ejercito and wife Pagsanjan Mayor Maita gave away new sets of uniforms for local traffic enforcers. But what’s unique is that they take on the traditional commandant uniforms in the historical film Heneral Luna. They come complete with a hat, but in bright orange for branding. Are these costumes for Ejercito’s next film, perhaps? Extra na! Distribution of new uniforms to the Pagsanjan Traffic Enforcement Group (PATEG) held at the Office of Mayor Maita Ejercito.